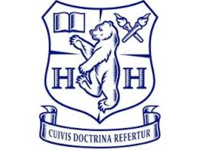 Hornsby House is a private (fee-paying) preparatory school for boys and gilrs aged 4-11 years, located in Balham. Children are welcomed into the Lower School Reception in the September following their fourth birthday. Places are offered in the Autumn term of the year preceding entry on a first-come-first-served basis, with priority given to siblings. Children who enter the school above Reception take part in an informal assessment and have the opportunity to spend time in a class of children of a similar age. Please contact Hornsby House School for further information.